Rae Jolene Intfen, 62, of Olathe, KS, passed away Tuesday, October 27, 2015 at Hospice House of Olathe Medical Center. Rae was born in Wichita, KS on June 8, 1953 to Walter and Aileen Genschorck of McPherson, KS. Moving to Clay Center, KS at the age of 10, she graduated from Clay Center High School in 1971. 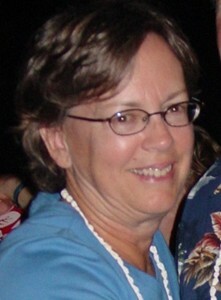 She attended Kansas State University while working for Kansas Farm Bureau. While at Kansas State University, she met her husband, Joe, and were married on May 23, 1981. Making their home in Olathe, KS, Rae worked as an underwriter at St. Paul Fire Marine Insurance. She and her husband had three children, Patrick, John, and Elizabeth. She loved sports, especially soccer, as well as Kansas State University and all her family. She loved being involved in her children’s lives and attending their extracurricular activities. She was always the perfect fan for her children in all aspects of their lives. In lieu of flowers, memorials are suggested to the Leukemia and Lymphoma Society, 6811 Shawnee Mission Pkwy, Ste. 202, Shawnee Mission, KS 66202-4001. Add your memories to the guest book of Rae Jolene Intfen. We were sad to hear of Rae's passing. She was always a delight to be around and share experiences with soceer, scouts and other things going on in her life. We will always remember Rae and Joe attending and sharing our 25th wedding anniversary celebration -- she said she really enjoyed the weekend..
Our sympathy, thoughts, and prayers are with Joe, Pat, John, and Elizabeth. We remember Rae Jolene from the soccer games our daughters played for Rush in Olathe. She never missed a game or a tournament, home and away. She was Liz's #1 fan. We are sorry we can't be with you to cherish her life and memories. But know that, from Texas, we have you in our thoughts and prayers.